Flight delays are a usual occurrence with airlines around the world. They can cause you to miss important engagements like business meetings, job interviews, or even the birth of your child. This is why passengers today use punctuality as a major criterion for making flight bookings. Please understand that most airlines do not plan to incur delays. No airline would intentionally delay, as it is as uncomfortable for them as it is for you. Unforeseen circumstances like a change in weather, technical problems, air traffic control restrictions, and late passengers may cause delays and ultimately cancellations. It is, therefore, important to understand the reasons why your next flight may be delayed, to know where you channel your frustrations. The most automated airports in the world experience less flight delays than the less automated ones. For instance, the use of an automated check-in and boarding system in Dubai Airport has greatly reduced queues in the airport. Another example is the use of an automated baggage handling system, which helps airlines and their grounds team sort out the right bag for the right airplane, and handle baggage volume quickly and efficiently. Other automated systems like the self-service machines, control tower assistants, and facial and biometric machines have all been designed to make passenger experience seamless and eliminate delays. Until Nigerian airports become technologically advanced enough to make all the processes of aircraft and passenger operations seamless, delays will continue to happen. Airlines, unfortunately, cannot control the weather. When the weather becomes bad at the departure or destination airport, flights will be rescheduled or cancelled. Bad winter weather each year causes up to 60,000 flights in the US, according to the Business Insider. While it is routine for airlines to receive daily forecasts on would-be weather situations, the weather sometimes changes abruptly, and this could cause delays and cancellations. Airplanes, like so many other vehicles, can develop technical problems. In such cases, airlines may need to carry out a swap of airplanes, which can incur delays. Airlines like Emirates, with a robust aircraft fleet, may have readily available airplanes to rescue pending flights. However, budget airlines with fewer airplane choices may need to wait for planes that are probably operating totally different routes to arrive. When you have thousands of airplanes operating in and out of an airport, delays may be inevitable. The shortage of air traffic control staff, industrial actions, and landing airport equipment capacity may cause a constriction in the flow of traffic, leading to delays. Some of the busiest airports in the world experience delays. For instance, when the weather is bad, air traffic control will ask certain aircraft to hold for a period until the weather clears up. It is not unusual for passengers to arrive late, and some airlines may choose to wait to accommodate late passengers, resulting in delays. As an illustration: If for a 120-seating capacity aircraft only 70 passengers were booked and just 40 show up early, an airline may choose to delay the flight to enable more people to show up for economic viability. The process of sorting and loading passenger bags, if not done early, can cause delays. The upside is that if passengers arrive on time, bags can be sorted and loaded early enough for the flight. Secondly, the process of tagging and transporting the bag from terminal to aircraft can take time, and with airlines that are short-staffed, the process may take longer, leading to delays. Airplanes need to be fueled just as cars need fuel, so the process of fueling and refueling an aircraft may cause delays. In Nigeria, airlines may sometimes have to wait longer to receive fuel from marketing companies because of the proximity of fuel loading area from the aircraft. In some instances, an aircraft may need the extra quantity of fuel, thereby causing delays. This is not a conclusive list of reasons, but it is important to know that these are some of the reasons that cause the delays. Hopefully our airlines will find more efficient ways to operate to minimize delays and improve customer satisfaction. 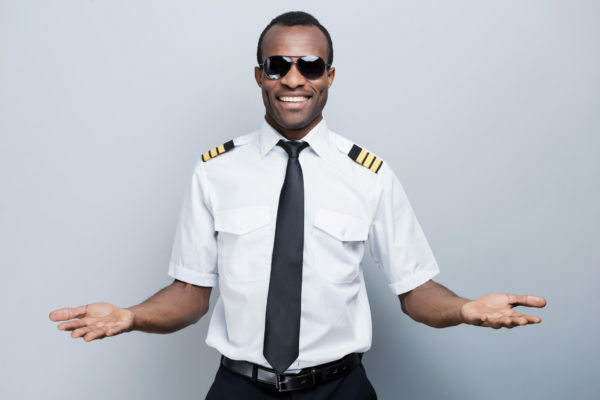 The post Jennifer Nagu: You Need to Understand Why Your Flight is Being Delayed appeared first on BellaNaija - Showcasing Africa to the world. Read today!.